Hello everybody, welcome to our today's article on installation setup of Pimcore on latest Ubuntu 15.10 server. Pimcore is a free and open-source integrated framework which has a very user friendly content- and data management editing User Interface from documents, pages and photos to complex data structures like E-commerce products. 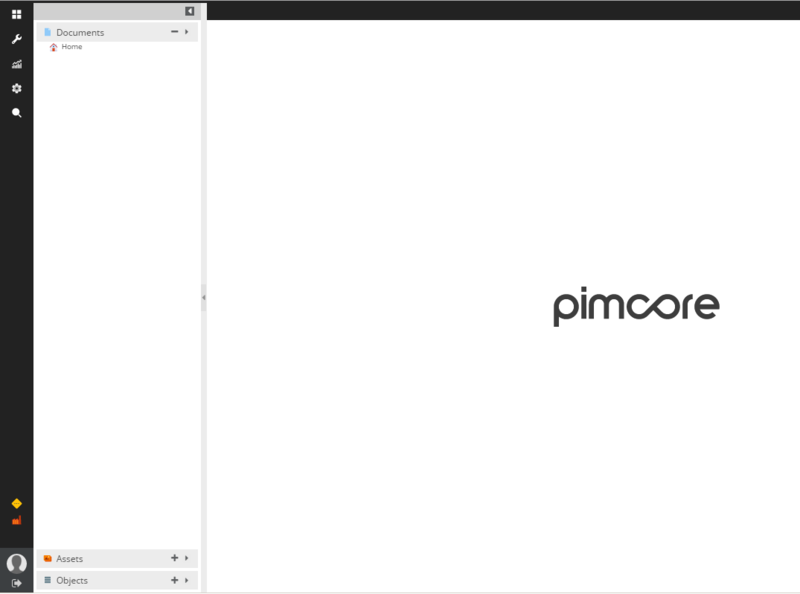 Pimcore is purely written in object-oriented PHP based on the Zend Framework. It has enterprise features such as automatic document/PDF generation via Web2Print. The E-Commerce integration module allow for flexible development of powerful multichannel-publishing applications within the shortest timespan. Editors love the simple and intuitive user interface. The modern interface has all the features which are usually only offered by fully fledged desktop applications. The installation of Pimcore is dependent upon the LAMP stack, so you must have LAMP (Linux Apache MySQL and PHP) stack installed on your server. Login to your Ubuntu 15 server using the root credentials or sudo privileged user and run the following commands to update your system packages with latest security patches and update. 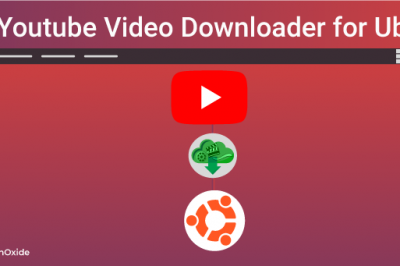 If you are using an old version of Ubuntu then run below command to upgrade to the latest release.But make sure that you have taken backup of your server before upgrading your production server. 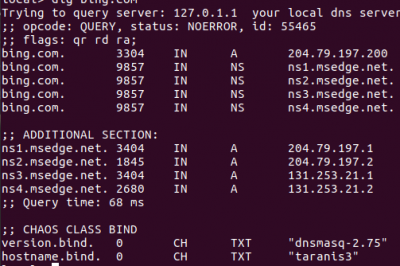 Now you need to setup the LAMP stack on your Ubuntu 15.10 server. Follow the below steps to setup LAMP stack and other PHP modules for Pimcore. You can install MariaDB by using the below 'apt-get' command. Press 'y' to proceed the installation. By default, MariaDB is not hardened but we can secure MariaDB using the 'mysql_secure_installation' script. Then go through the following steps carefully which will set root password, remove anonymous users, disallow remote root login, and remove the test database and access to secure MariaDB as shown. 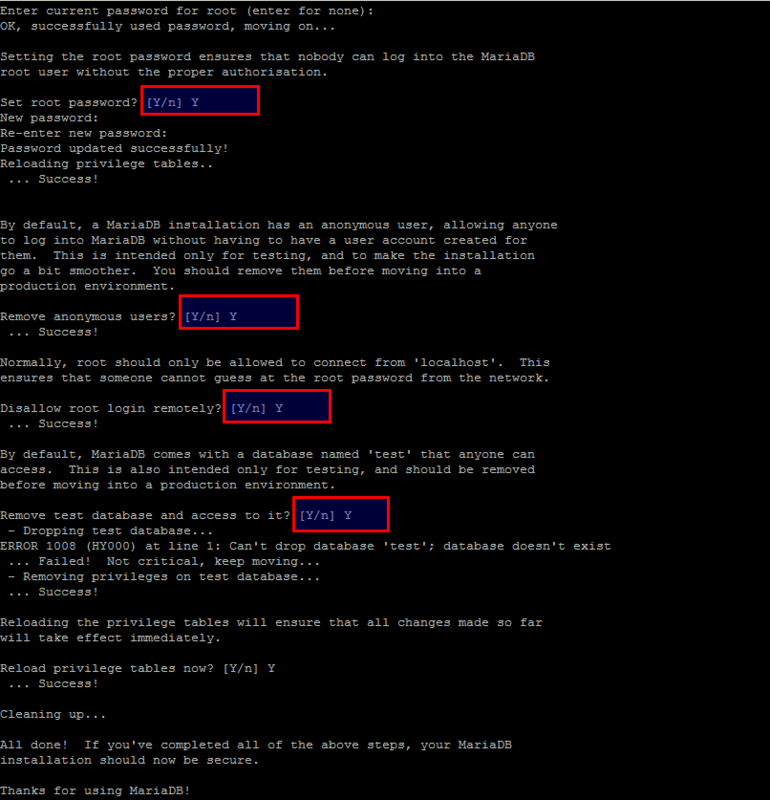 Next we will need to log in to the MariaDB console and create a database for the Pimcore using the command below. Create the database and assign some user privileges on this database with passowed using below command. To install PHP and its required modules for Pimcore, run the following command and press 'Y' to start the installation process. Open the Pimcore Resources Link to download the latest package of Pimcore. If you have 'wget' utility installed on your system, then copy the download path and run the command to as shown below to download package into the document root directory by creating a new directory. Once you have downloded the package the extract it within the same directory using 'unzip' command and make sure that 'unzip' is installed on your system. We will also need to change the pimcore's folders permissions with below command. In this step we are going to install and configure Apache web server for Pimcore. 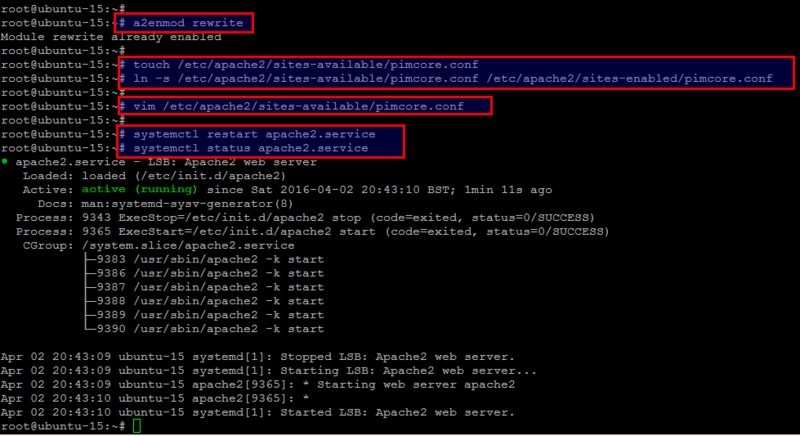 Create a new virtual host directive in Apache by creating a new Apache configuration file named as ‘pimcore.conf’ in your virtual server using below commands. After opening the file change your editor to insertion mode and put the following text in it by replacing your own domain name or IP address. Save and close using ':wq!' and then run below command to enable rewrite module. Now, we can restart Apache web server so that the changes can take place. 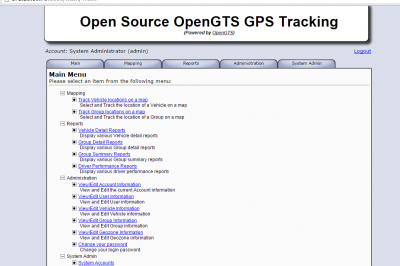 Open your web browser followed by the domain name or IP address of your server. 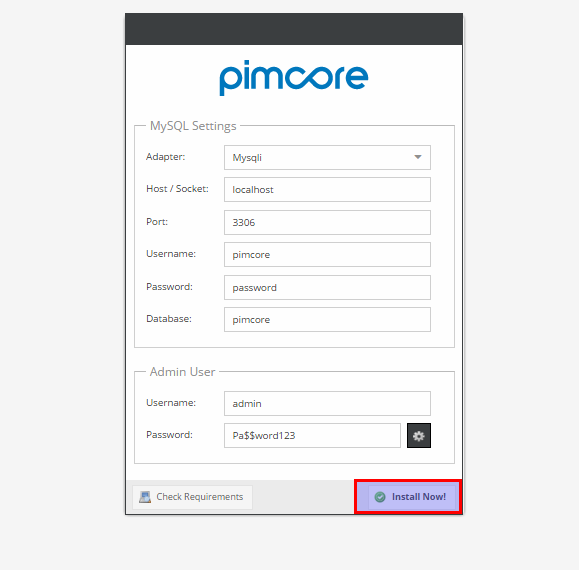 You will be directed towards the Pimcore installation page where you need to configure your MySQL-MariaDB and Admin user settings to start installation as shown in image below. Pimcore will be available on HTTP port 80 by default. If you are working under production environment then make sure to allow port '80' in your firewall and SELinux parameters. 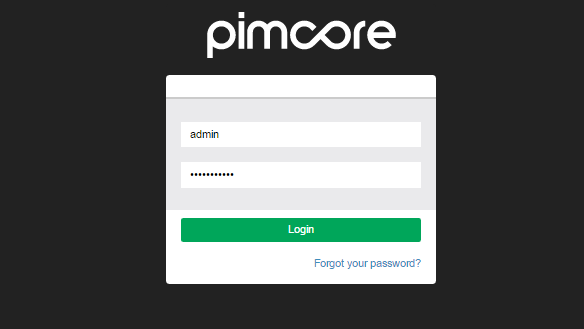 After completing the installation, you can login to the Pimcore using your admin user credentials. Once you have provided the right credentials you will be directed towards the Pimcore Dashboad that will be similar to image below. Congratulations, You have successfully installed Pimcore on your Ubuntu 15.10 VPS. Combining unparalleled ease of use with connect anything technology, total flexibility, and enterprise-grade capabilities, pimcore is the award-winning platform of choice for leading companies around the world, powering more than 65,000 sites, web and mobile applications, intranets and extranets in 18 different languages. Let's install and explore it alot of features and leave your valuable comments.